At Beansmith Coffee Roasters in Omaha. All photos by Ben Richardson for Daily Coffee News. Along the banks of the Missouri River on the far eastern side of Nebraska along its border with Iowa, the City of Omaha has a surprisingly rich history of innovation since its founding in 1854. You can thank it for things like Raisin Bran, cake mix, the ski lift, the “Top 40” radio format, and even the reuben sandwich. Although New Yorkers will try to convince you otherwise, this latter creation is most commonly attributed to Reuben Kulakofsky, a Lithuanian-born grocer whose weekly poker games at Omaha’s Blackstone Hotel led to the sandwich’s collaborative invention. But I’m not here to fight over reubens; I’m in Omaha for the coffee. 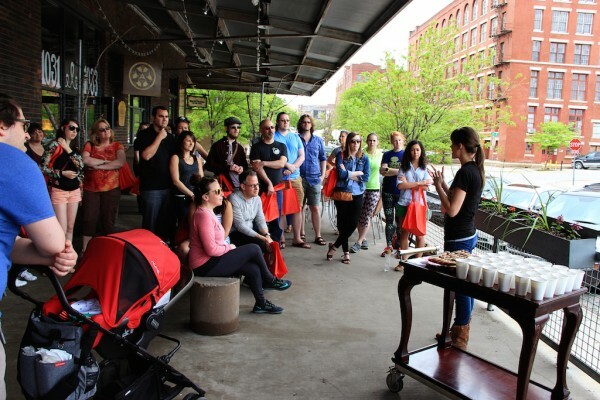 This Spring marked the second year the Caffeine Crawl event has come to the city. 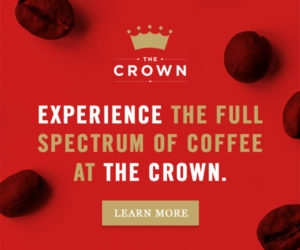 The Crawl is an event produced by the LAB, a specialty beverage marketing company based in Kansas City, Missouri, just a few hours drive from the Omaha metro. The LAB has been growing the concept in cities throughout the United States, and approximately 15 of them will have taken place this year. 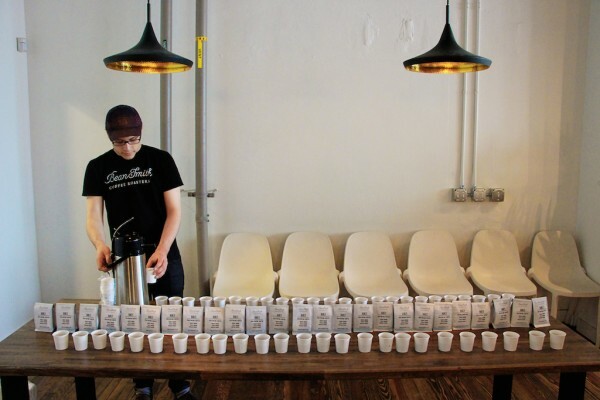 The first Omaha Crawl was in 2013, when specialty coffee was more of a forethought than reality here. 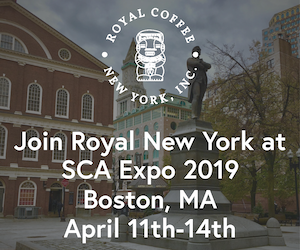 The event returned this year to find a completely different, quickly maturing, coffee community changed by two years of exponential specialty retail and roasting growth. Here are some of the Crawl’s highlights, which not coincidentally works out to a kind of who’s who in quality-forward Omaha coffee. Hardy Coffee Roasters. All photos by Ben Richardson for Daily Coffee News. 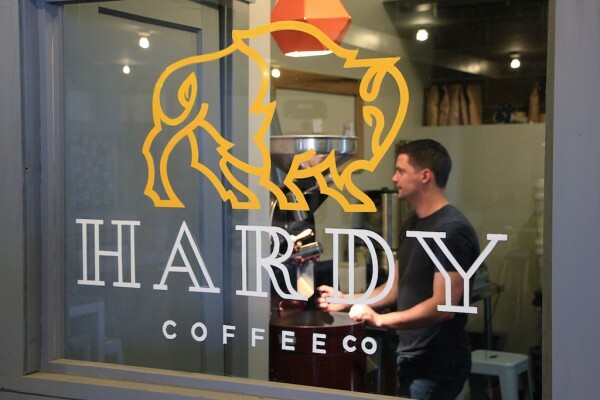 Route 2 began Saturday morning at Hardy Coffee Co., a brand new coffee roaster currently located in a co-working space called Bench in the industrial area of North Downtown Omaha, just up the road from TD Ameritrade Park, home of the men’s baseball College World Series. 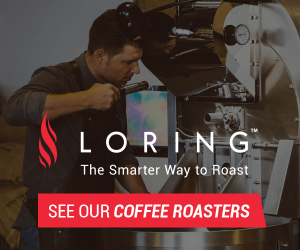 The company, though separate in name, is the roasting operation for the Aromas Coffeehouse locations in Omaha. 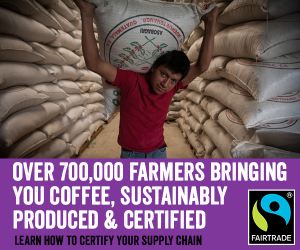 Hardy’s lead roaster, Nick Tabor, gave a presentation about the need for being conscientiously engaged in every part of a coffee’s life cycle, from harvesting to brewing, in order to maintain quality. Hardy then served their Colombia Huila on Chemex and Kenya Ngutu on batch. 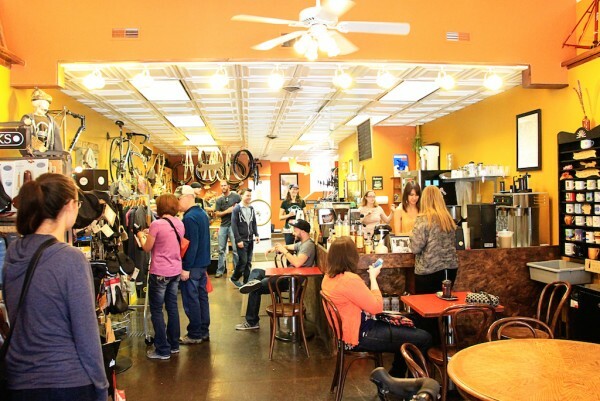 Located in the Benson neighborhood, this bicycle shop/coffee bar hybrid or “retail mullet,” as owner Sarah Johnson might say, opened in 2012. 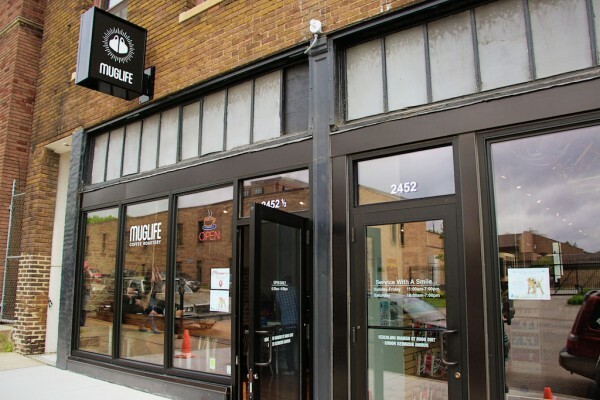 The bar serves Intelligentsia and Omaha-based Archetype Coffee as well as Kilogram teas. 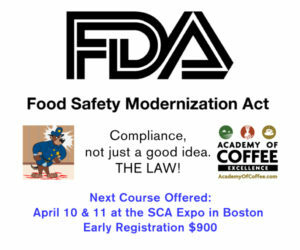 They offer espresso-based drinks as well as drip, French press, and Chemex-brewed coffee. For the event, the focus was teas, as the shop served a tea blend of Earl Grey, Lavender, and Chai along with a choice of milk — a thoroughly enjoyable relaxation companion on the shop’s large back deck. 2-year-old roastery Mug Life Coffee opened its flagship retail bar in West downtown Omaha in January of this year. The shop shares an open space with Greenstreet Cycles’ Harney Street location and is owned and operated by Omaha local Matt McCrary. 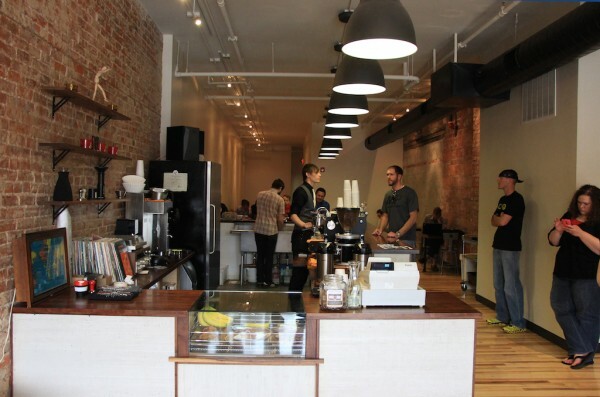 The shop specializes in espresso-based drinks. 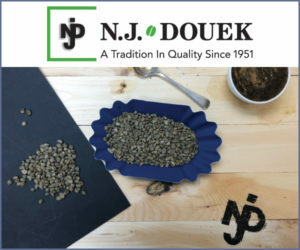 Crawlers were given two separate samples of Ethiopian Djimmah. The first was brewed on a Chemex and paired with a cupcake from Nicola’s Baking Lab located in the Old Market district. The cake contained Indian Muscatel Darjeeling tea, topped by frosting with a lemon curd with Askinosie single-origin Mababu, Tanzania Cocoa Nibs. The second sample was a Mug Life’s nitro cold brew, which was paired with a chocolate truffle made from Askinosie single-origin 70% Cortés, Honduras dark chocolate that contained tart cherry and black currant. 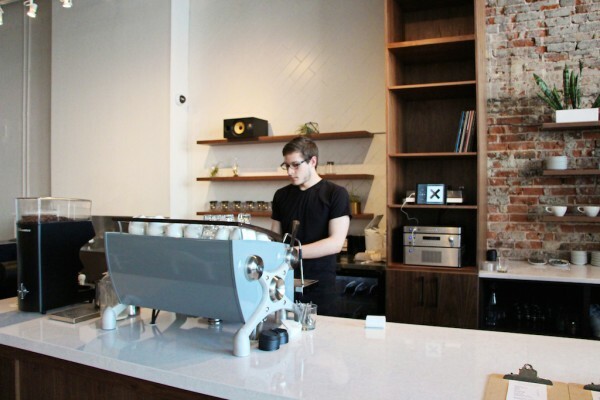 Archetype opened in May of 2014 in the Blackstone District of Midtown Omaha, quickly establishing itself as a major player in the city’s coffee game. Before opening this shop in Omaha, owner Isaiah Sheese, worked at Anodyne Coffee Roasters in Milwaukee as well as Tulsa’s Topeca Coffee Roasters and Doubleshot Coffee. At the bar, Archetype baristas are pulling espresso from a custom two-group Synesso Cyncra, which, for what it’s worth, is the first Synesso in Nebraska. 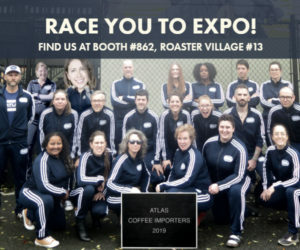 During the event, head roaster Jason Burkum briefly shared Archetype’s approach to roasting with visitors before Sheese led an interactive presentation on extraction and gold cup brewing standards. During this presentation, visitors were given three cups to sample of Archetype’s Tanzania Tarime. 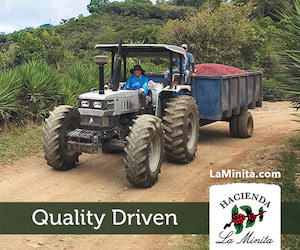 Of these three samples, one cup was intentionally over-extracted, one was intentionally under-extracted, and the third was within gold cup standards. 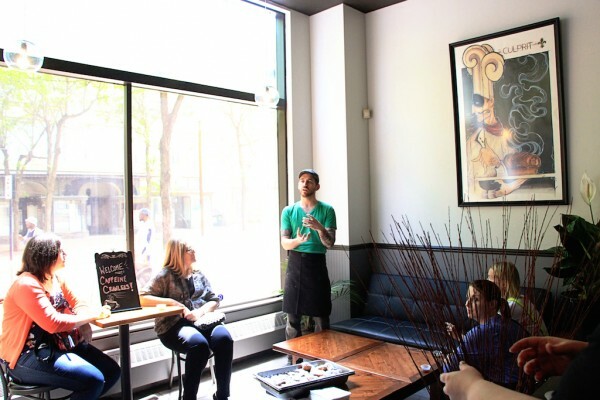 Culprit Café is the first-time business venture for owner Luke Mabie that opened on 16th street in downtown Omaha in mid 2013. The menu reflects Mabie’s love of classic bakeries, as well as his prior experience as a pastry chef in New York City. The classically inspired baked goods pair with coffee from Broadway Roasting Company out of Kansas City, Mo. 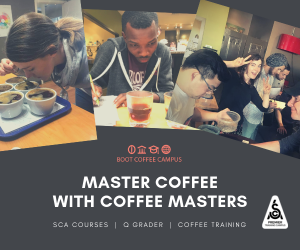 Crawlers here enjoyed a sample of “aged” cold brew from a Kyoto drip tower, along with a freshly fried beignet, while Mabie briefly shared his thoughts on the craft of coffee, the craft of baking and the craft of pairing. Visitors on the afternoon routes were lucky enough to enjoy an affogato. Route 5 in the afternoon kicked off at Beansmith Coffee Roasters‘ new downtown location, which opened in downtown’s Old Market District in March. The new bar is 5-year-old Beansmith’s first outside of its roastery, founded by Chris Smith in 2010 in the La Vista suburb of southwestern Omaha. The new location houses a custom two-group Slayer espresso machine, the second ever in Nebraska behind only the single-group machine at the La Vista headquarters. 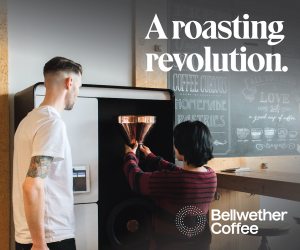 To crawlers, Beansmith provided two samples of an Ethiopian Gelana Abaya coffee to explore how brew method affects certain qualities. The first sample was a batch brew and the second was a cold brew from their Kyoto drip towers. 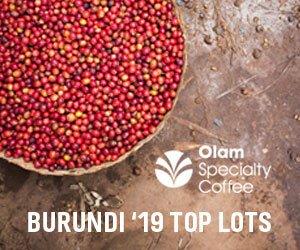 Visitors were also provided a sample bag of Beansmith’s new Burundi Bubezi coffee. Aromas Coffeehouse downtown location in the Old Market District is owned and run by Autumn Pruitt and her husband Luke, who bought the coffee company after first subletting kitchen and storefront space from the coffee business when they opened Bliss Old Market Bakery in 2010. 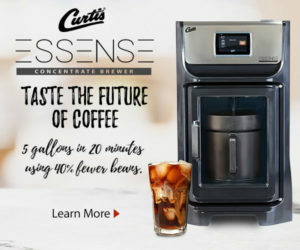 Since that purchase, a year later in 2011, Aromas + Bliss has been conceptually focused on always implementing the same careful thought and work into the coffee program as is put into its baking. Hardy Coffee Co. was born from this vision, acting as the company’s roasting wing, supplying both Aromas Coffeehouse locations. Since Hardy Coffee Co. was already serving coffee in the morning for event participants, a beverage consisting of root beer with chai concentrate was paired with a chocolate-dipped espresso shortbread. 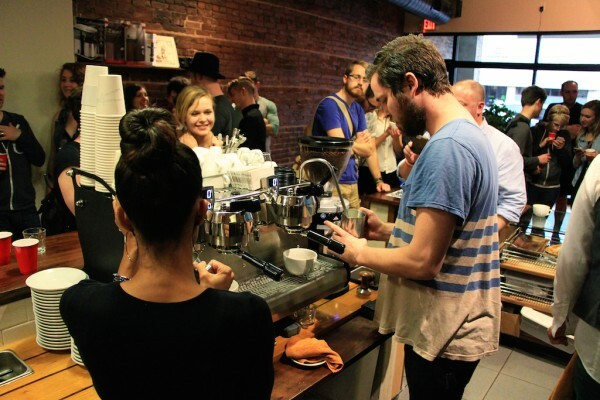 No full day of coffee is complete without an after-party, which here included a latte art throwdown hosted by Archetype. Baristas from all over town poured in three rounds, starting with lattes, then cappuccinos, and lastly, macchiatos. Archetype’s own Aaron Rauch earned first place while Archetype colleague, Daniel Schildhorn, took second. Of-age party goers were also able to drink a CollaBREWation Beer between Archetype and Blackstone District neighbor, Scriptown Brewery. The beer consisted of a Belgian Strong Golden Ale infused with Ethiopian Deri Kochawe cold-brew. After the close of the event, Caffeine Crawl creator Jason Burton said that he believes Omaha will likely be a permanent annual location for the event. The belief is based on the prediction of growth, something Omaha’s specialty segment has experienced in spades over the past year. Ben Richardson is a writer and photographer based in Omaha, Nebraska. 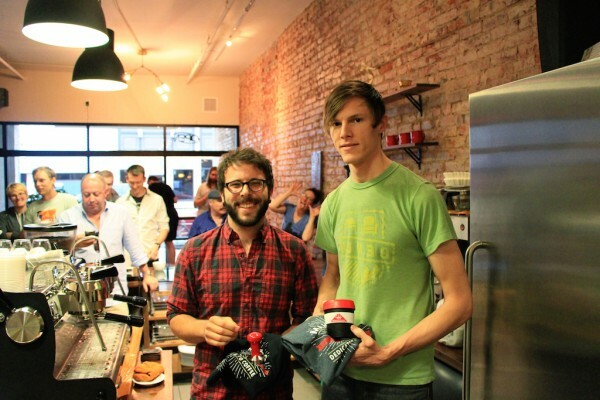 For what it’s worth… Canyon Coffee Roasters in Lincoln, NE had a Synesso back in 2009. Tap Dancers coffee has them all beat . My god, there’s like a hundred shops in a one mile radius. That’s tuff business. 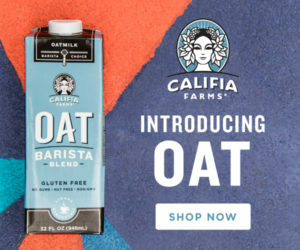 I am disappointed to see that A Hill of Beans didn’t make this list. 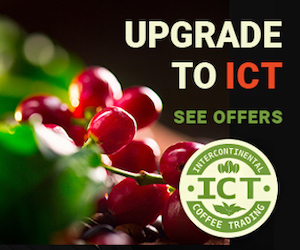 They truly are experts when it comes to the fine craft of artisan coffee roasting, and offer some of the most competitive prices you’ll find within any coffee scene. 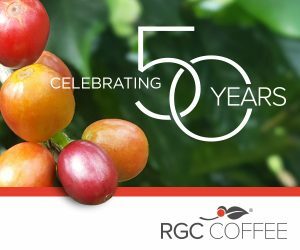 Definitely worth taking a look if you’re genuinely interested in cupping some of the finest coffee available in Omaha, NE! Trying to find out about my Grandpa Bud Antisdel sold coffee in Omaha 1950s.